Some people take denim very seriously, putting years of hard work into breaking in their pairs. But you don’t have to be religious about denim to appreciate its culture and style. 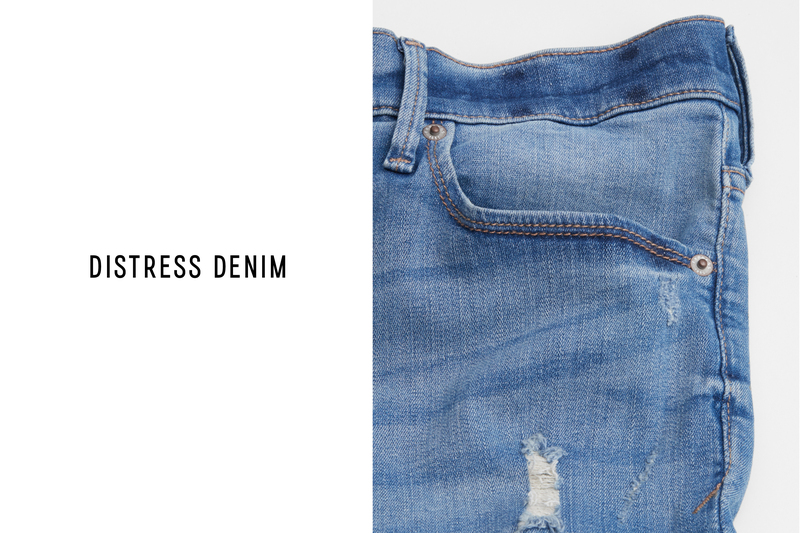 In fact, thanks to modern fabrications and distressing techniques here at Express, you can get the denim diehard look without studying the material extensively. Consider what follows to be a cheat sheet to go with those perfectly faded blues. We’re covering where they came from, how to care for them, and what to do to make them your own—all in the time it takes you to step into your jeans and go. Modern-day life might not be as rugged as it once was, but it’s busier than ever. And look: denim is still saving the day. 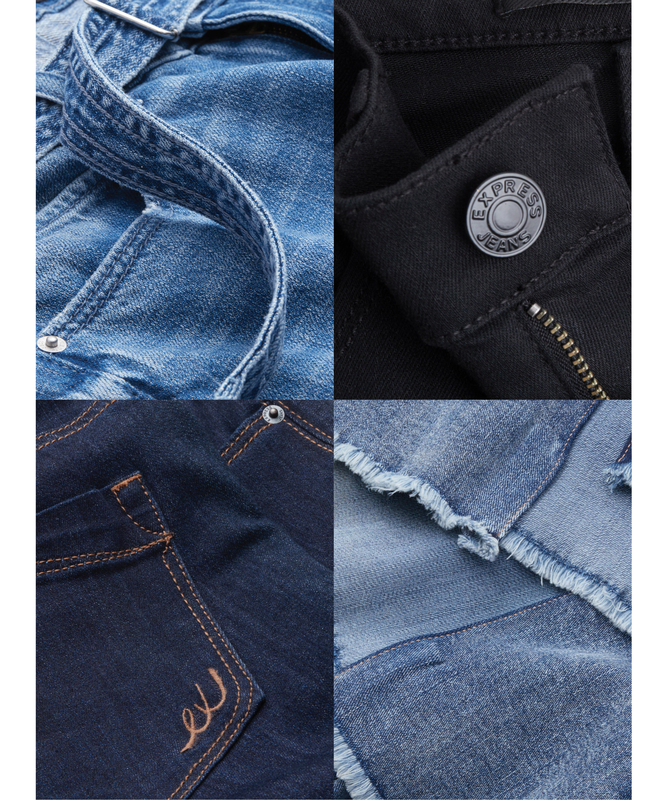 Denim is a durable cotton twill fabric that dates back to the 18th century. French factory workers in Nimes discovered it while trying to recreate a durable Italian fabric called “serge.” The material eventually made its way to America via a Bavarian business man named Levi Strauss, who introduced it to the Gold Rush population in San Francisco in the 1860s. The rest is cowboys, movie stars, and rock ‘n’ roll. Over the last several centuries, designers and brands like Express have reimagined denim in a million ways. Perhaps most importantly, we’ve added stretch for added comfort and a better fit. Given that most jeans-wearers don’t spend their days working in mines or herding cattle, a softer fit and feel is sensible—and stylish. Whether your jeans are the blackest black, the whitest white, or true indigo blue, your laundering practices shouldn’t change too drastically from pair to pair. 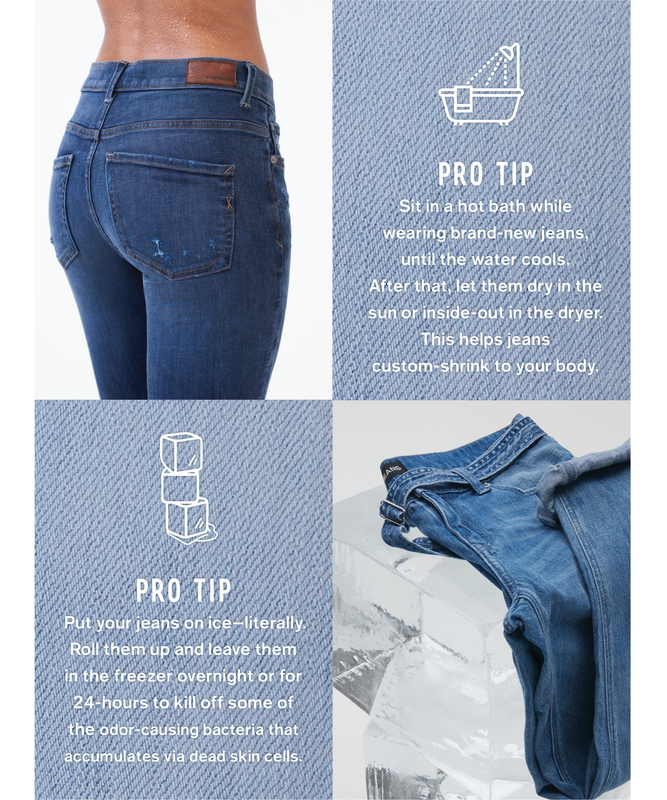 To preserve the integrity of the denim you want to wash as little as possible, always turning jeans inside-out when you do. 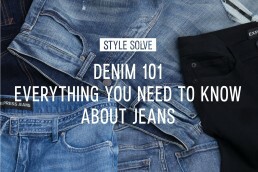 Opt for gentler, lower-heat cycles and use a specialty denim wash or distilled white vinegar to really go easy on them. Not one to be precious with denim? The beautiful thing about this time-honored fabric is that it takes well to wear-and-tear, too. In fact, some would argue that it looks even better with age and adventures—whether you start with an untouched pair or begin with distressed and go from there. 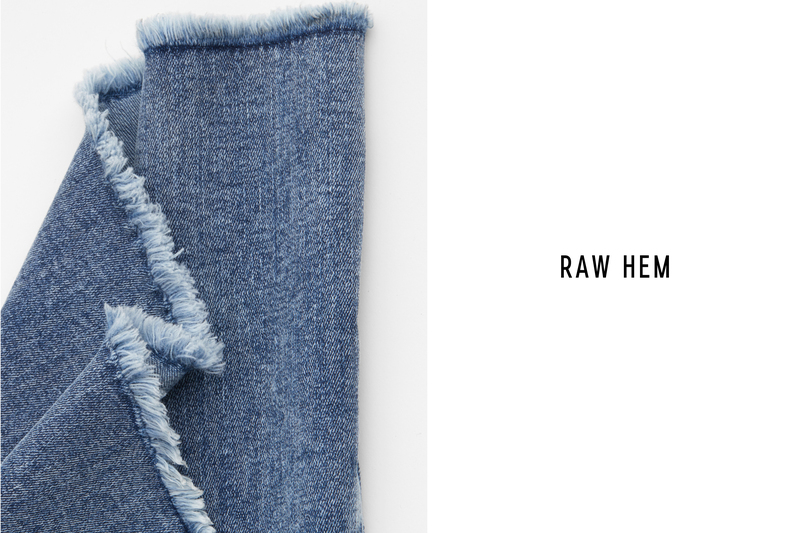 Here are a few ways to give your denim a one-of-a-kind finish, all from the comfort of your home. 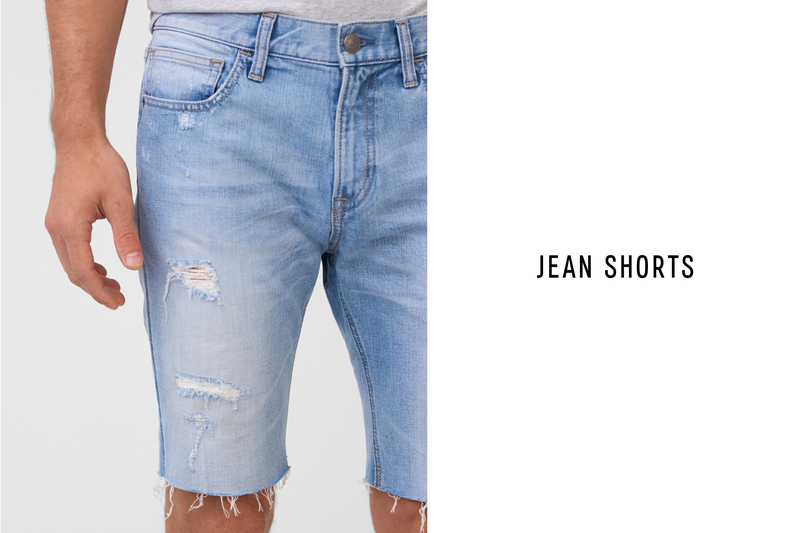 The best way to break in a pair of jeans is simply to wear them like there’s no tomorrow. To accelerate the process, rub them down with a piece of sandpaper or wash and dry them on the hottest setting often. 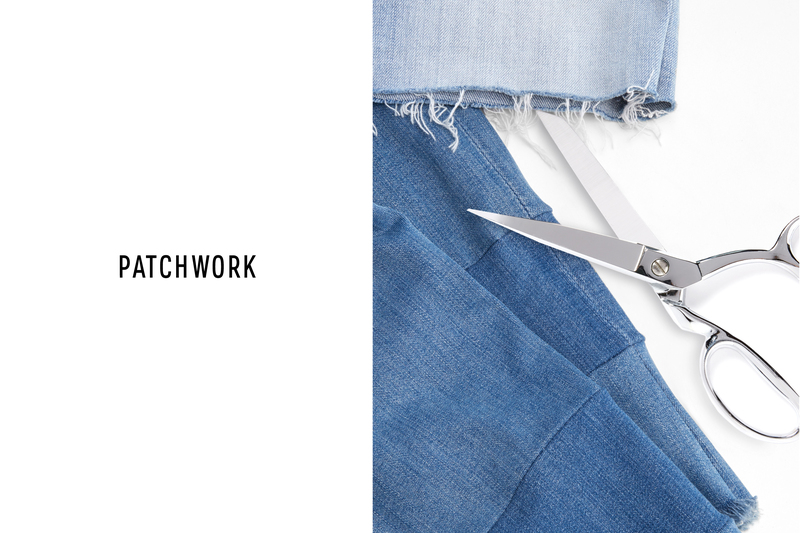 Cut the hem off your pants with a pair of fabric scissors, ensuring your line is straight. Then use a seam ripper or pair of tweezers to pull at the horizontal threads, encouraging them to fray a bit. Iron-patches are a quickie DIY that always works. For more of an heirloom finish, hand- or machine-sew recycled denim panels to your jeans using matching indigo thread and a careful hand.